TVCatchup, the UK TV streaming service, announced on Twitter today that they are introducing low and high quality streams along side their standard quality stream. Their tweets suggest that this is the first in a series of updates to coincide with this year’s World Cup tournament. TVCatchup viewers can access the new streams by heading to the channels page, and then choose from the three links on the top-right corner of the channel grid. Other streaming services we’ve looked at have stream quality controls within the video player itself, allowing for in-situ bitrate adjustment. Hopefully this is something TVCatchup can add later. TVCatchup engineers are still fine tuning the new streams as this post is being written. Although we’ve tested the streams and everything seems to be running well. Virgin Media has launched its own browser-based movie streaming service, available to anybody in the UK not just the cable provider’s own subscribers. It’s a pretty bog standard VOD affair: movies are available for rental-only, with prices for new releases set at £3.99 for 48 hours access once you press play. Picture quality-wise, we’ve yet to test the service but we do know that the video streaming is powered by Microsoft’s Silverlight technology and that two different streams are being offered. ‘Normal’ quality is unspecified, while ‘High Quality’ is pegged at 1.8 Mbit/s. 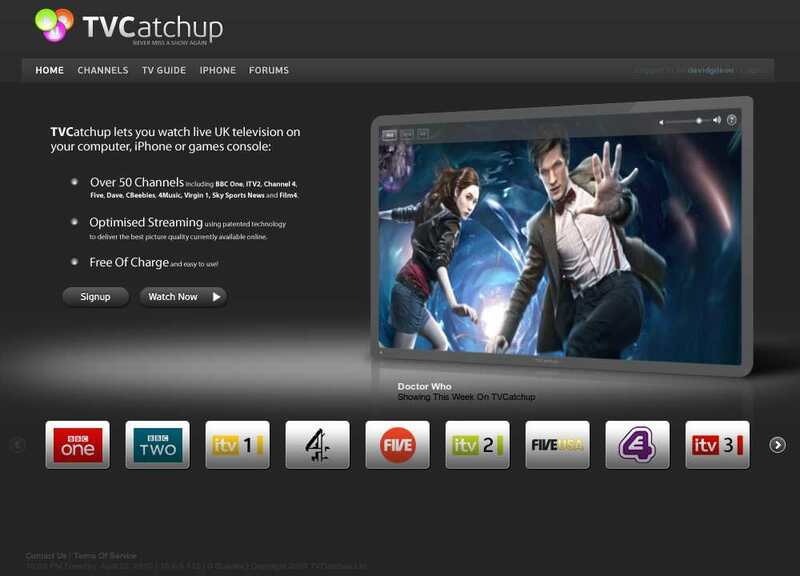 TVCatchup is a UK-only VoD site with a difference. 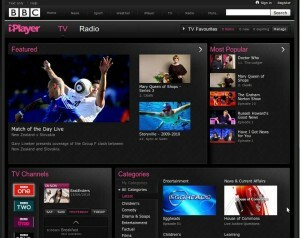 When the site launched in late 2007, TVCatchup offered live streams of UK Freeview TV channels, along with the ability to record programmes. Unfortunately, copyright concerns saw TVCatchup withdraw their site, until relaunching, sans PVR functionality, in late 2008 (Source). 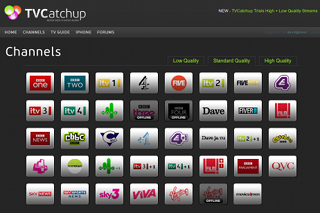 In its current form, TVCatchup is very simple, offering only live streams of almost all UK Freeview (free to-air) channels. 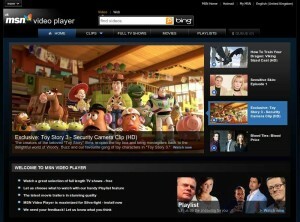 The website gives a list of all available channels which can be clicked on to view. Better still, there is a TV/PVR like programme guide, showing a horizontal timeline of what’s on currently, and allows you to go forward (and back) in time to see what’s coming up. 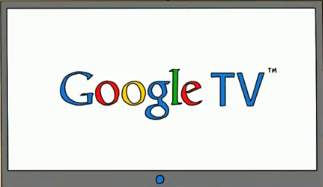 It also allows users to drag and drop TV channels into any order they like. 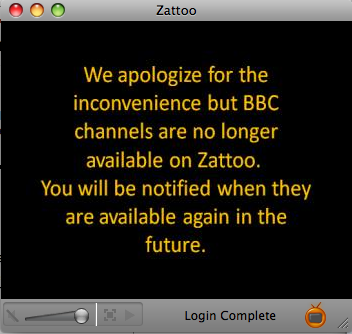 However, there’s no EPG data available. Along with the channel list, there is a tab giving access to UK Freeview radio stations, this is in a testing phase, and during this review the audio player loaded but didn’t stream any audio. We’re sure this will be fixed soon though. “What is an iPad? 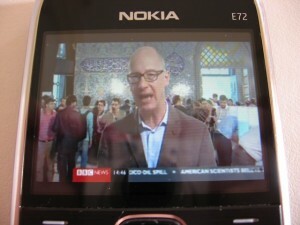 An iPad is basically a big iPhone”, argued Nick Smith, Elonex CEO at last week’s The Gadget Show Live. 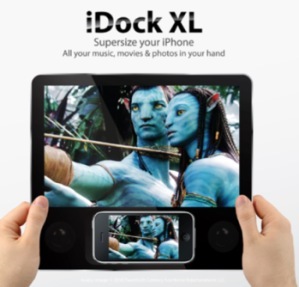 “Err, it’s a bit more than that”, I replied, before politely indulging in a product pitch for the company’s iDock XL, a portable 10inch screen that houses an iPhone (or iPod touch) and displays any video content coming from the device. It’s available for pre-order and costs £149.